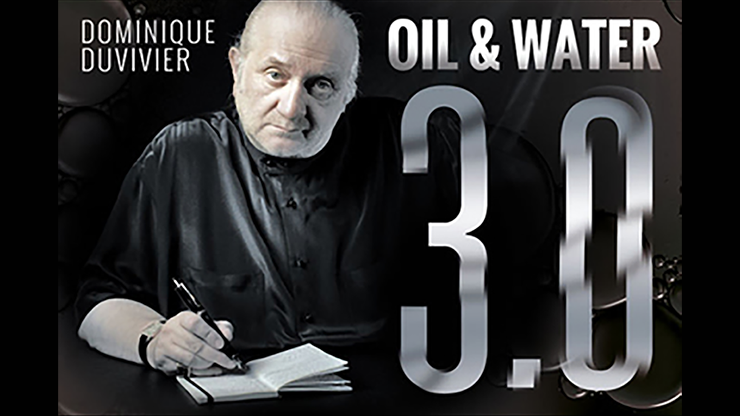 Today, when you order "Oil & Water 3.0 by Dominique Duvivier (DVD and Gimmick) - DVD", you'll instantly be emailed a Penguin Magic gift certificate. You can spend it on anything you like at Penguin, just like cash. Just complete your order as normal, and within seconds you'll get an email with your gift certificate. 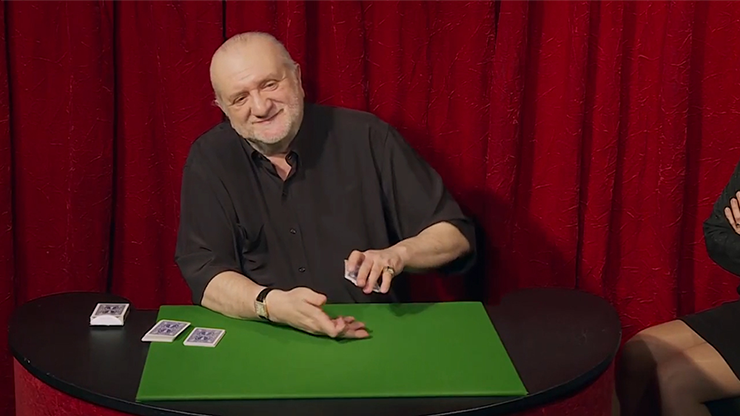 The magician shows four red-faced cards and four black-faced cards. He alternates these cards: one red, one black, one red, etc. Like oil and water do, they separate mysteriously: the red cards gather on one side, the blacks on the other side! At each step of the trick, things become more and more impossible. 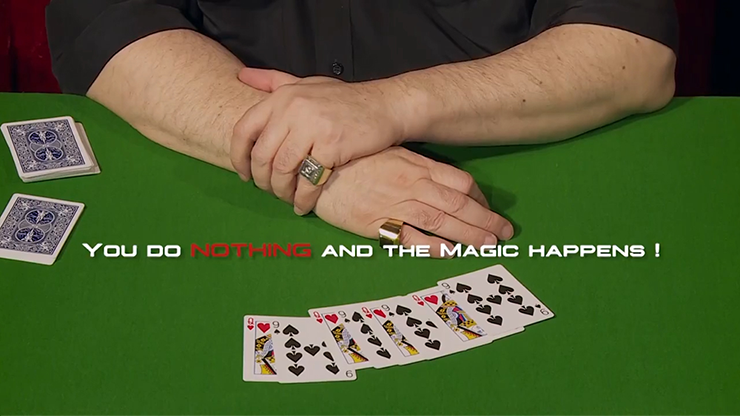 The climax is incredible: the magician does NOTHING and the magic happens! You will own a mass destruction weapon with this multi-phase routine. You can complete it by integrating one or several phases. This completely revolutionary climax (no sleight of hands for this phase!) will bring your Oil & Water routine to unsuspected heights! 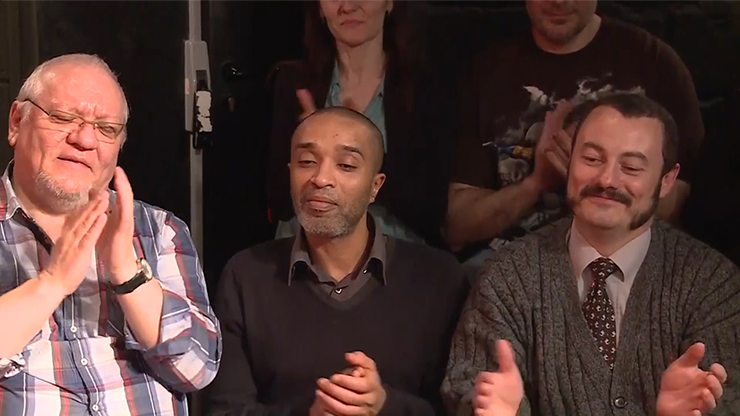 "We have just seen Dominique's wonderful routine, with several phases, a diabolical routine with the famous "Duvivier's touches" which make the whole thing more and more impossible, and finally the cards can be examined. Dominique gives you new magic, invisible, secret tools in this package. 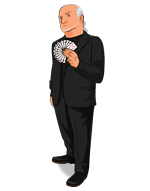 His cards are so ingenious and are only waiting to live new exploits with your own creations. This is how life and ideas are passed on, ideas of improvement and creation. You shake them together knowing that always slowly or quickly oil and water will find their right place for the pleasure of the impossible."